Born: September 23, 1940, Passed: September 30, 2017. Frank George Kosky, 77, of Greenacres, FL, passed away at his daughter's home, surrounded by his loving wife and family, on September 30, 2017, after a long and brave battle with cancer. 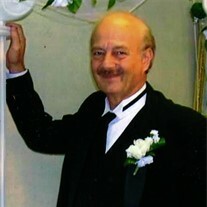 He is survived by his beloved wife, Alison; son, Frankie (Endicott, NY); daughter, Sheri Renee; son-in-law, Jimmy and granddaughters, Victoria Rose and Brianna Nicole Liantonio (Wellington, FL); brother, Robert and sister-in-law, Pam; nephews, Lawrence and Robert (Saratoga Springs, NY) and two step-sons, Tyler (Watkins Glen, NY) and Austin Moore (MacDill Air Force Base, Tampa, FL). Frank was born in Yonkers, NY, on September 23, 1940, and is the son of the late Frank J. Zajkowski and Rose Costa. He graduated from Archbishop Stepinac High School in White Plains, NY, and he earned a Master's degree in Electrical Engineering from Rochester Institute of Technology. He worked for IBM in Endicott, NY for about 32 years as an Electrical Engineer, and later transferred to Lockheed Martin in Owego, NY, where he retired. Frank served as CCPB Board Member during 2010 on Communications with Carolyn Crowley & Allison Kosky and from 2012 thru 15 as Vice President. 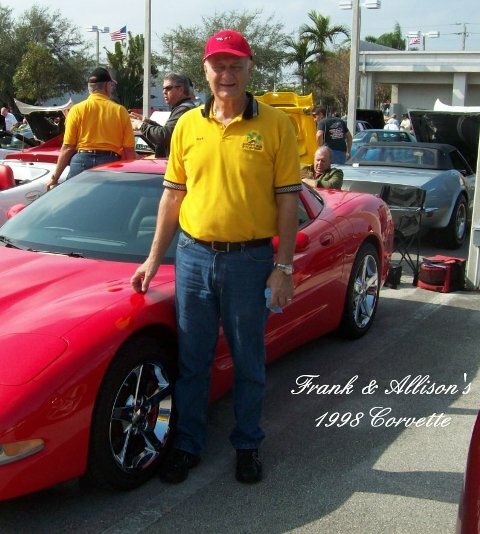 He was a valued and active member and his presentation of Corvette trivia at meetings and sense of humor will be missed.